All presently produced models of batteries are based on the principle discovered by Volta. 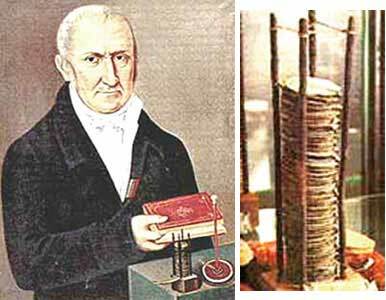 Alessandro Volta invented what is known as the Volta pile, the forerunner of the electric battery. His work constitutes a crucial milestone in the history of science since he was the first inventor who managed to produce a stable flow of electricity. His battery was made out of alternating discs of zinc and silver with brine-soaked cardboard discs placed between the metals. 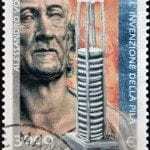 The Italian physicist Alessandro Giuseppe Antonio Anastasio Volta, son of Filippo Volta and the Countess Maddalena María Magdalena Inzaghi, was born in Como (Italy) on 18 February 1745. He had a rigorously humanist education but at university he opted to study science. By the age of eighteen he had already discovered some of the key elements of electricity and was exchanging letters with some of Europe’s leading scientists. In 1774, he was appointed professor of Physics at the Royal School in Como. Between 1776 and 1778 he gave his attention to chemistry and discovered and isolated methane gas. A year later, in 1779, he took up the position of Professor of Experimental Physics at the University of Pavia. In 1800, he informed the Royal London Society of his invention of the battery. This illustrious institution confirmed that the “voltaic pile” was effective and publicly recognised the importance of Volta’s discovery. 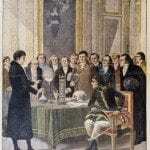 Alessandro Volta was successful with several research projects in his lifetime. For example, he discovered and isolated methane gas and perfected the electrophorus a device which, invented by Johan Carl Wilcke, produced an electrostatic charge. Nevertheless, Volta’s great contribution to science and humanity was his discovery of the voltaic pile. At the end of the eighteenth century, virtually nothing was known about electricity and its study was almost exclusively focused on static electricity. In 1780, Luigi Galvani observed that an electric current was generated when two different metals were connected in series with the muscles of a frog’s leg. Interested in Galvani’s discovery, Volta began to experiment with metals alone and came to the conclusion that animal muscular tissue was not necessary for producing an electric current. In 1800 he successfully carried out a demonstration showing how the first electric pile functioned, thus proving his thesis. The pile was made of discs of silver (or copper) and zinc in alternate layers separated by cardboard discs soaked in brine. When the top and bottom contacts were connected by means of a wire an electric current flowed through the system and this was a constant flow, in contrast with the Leiden jar which stored static electricity and released it in a single discharge when its inner and outer coatings were shorted. Thanks to Volta’s invention, physicists were then able to work with electric currents which they could start and stop at will. 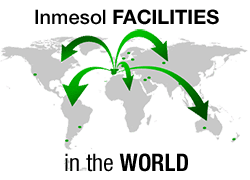 Moreover, it was now possible to increase or reduce the current by adding or removing discs. Not long afterwards, other researchers discovered that the electric current generated by the voltaic piles could be used to break down water into hydrogen and oxygen. This was just one possibility which, thanks to its applications, opened up another whole field for research in science. In 1801, Volta demonstrated to Napoleon how his battery generated an electric current. The emperor recognised his contribution to science by making him a count and senator of the Kingdom of Lombardy, as well as awarding him a Gold Medal for Scientific Merit. 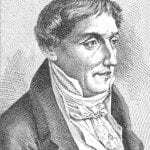 In 1815, after the collapse of the Napoleonic regime, the Imperial Government of Vienna appointed him as head of the Faculty of Philosophy in Padua. He was also elected to membership of the prestigious Royal Society in London. The unit of electromotive force, the volt, and also Volta, a crater in the moon, have been named in honour of Alessandro Volta. 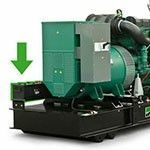 The role of a battery in a generator is of fundamental importance: this is the device which supplies the necessary continuous flow of electric current that is used to start the generator motor.